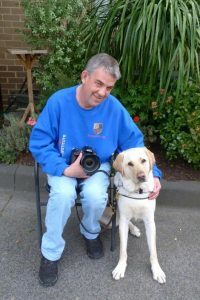 For Andrew Follows, a photographer and NDIS participant from Melbourne’s north, photography allows him to capture and share his unique view of the world, all with his assistance dog Leo by his side. Andrew has a degenerative condition called Retinitis Pigmentosa (RP) which has rendered one eye completely blind with ever diminishing tunnel vision in the other. His condition hasn’t stopped him from pursuing his passion for photography, turning what was once a hobby into a career that has led Andrew to share his work across the world. 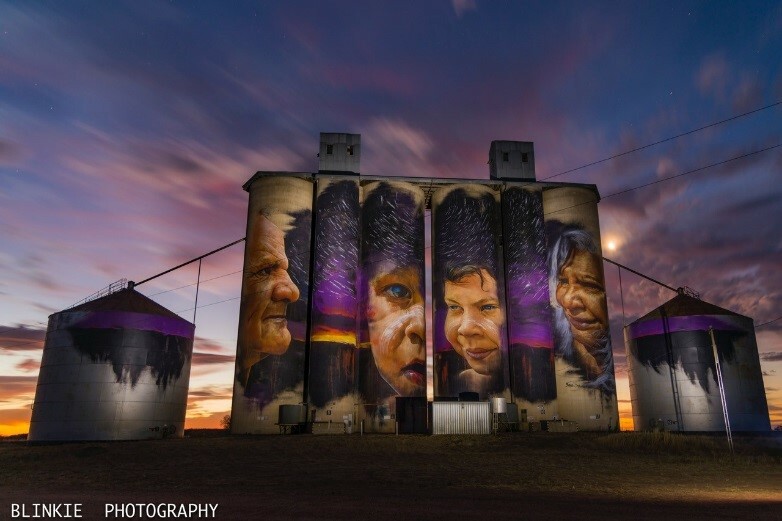 Over the past six years, Andrew has exhibited his work in Australia and internationally, including the 2012 Edinburgh Art Festival, exhibits in New Zealand and Luxembourg. In 2012, Andrew was awarded the Arts Access Australia People’s Choice award for his work. In 2013, Andrew received the life changing email that many photographers would dream of. 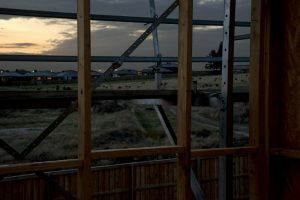 His photograph Elevation, Doreen which captures a housing development in Melbourne’s north at sunset, received the prestigious Exposure Photography Award and was selected to display at the Louvre Museum in Paris. “You enter photos into so many competitions and most of the time don’t expect to hear anything back” says Andrew. Always eager to expand his photography portfolio, Andrew received media accreditation to photograph the 2018 Australian Grand Prix and the 2018 Commonwealth Games on the Gold Coast. 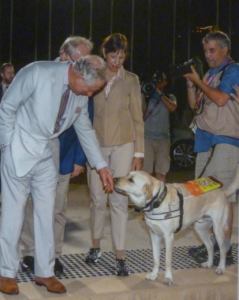 No stranger to the limelight, his previous exhibit Soul Mates saw him photographing some of Australia’s most prominent media personalities alongside his former beloved guide dog Eamon. Given his experience photographing famous faces, there was one occasion during the Commonwealth Games where Andrew admits to feeling a little star struck. A phone call from the Royal Press Office requesting a photo of Andrew and Leo with HRH Prince Charles quickly became a Commonwealth Games highlight. “When I got the call from the Royal Press Office I think there was about 10 seconds of silence before I could accept the request!” Andrew laughs. Breaking the boundaries of possibility is what Andrew does best, he is currently working on two big projects exploring his passions – sport and cars. This includes a collaboration with artist Bruce Rimell blending photography and painting and an exhibition aiming to raise funds for his attendance at the Tokyo 2020 Olympics as a media photographer. 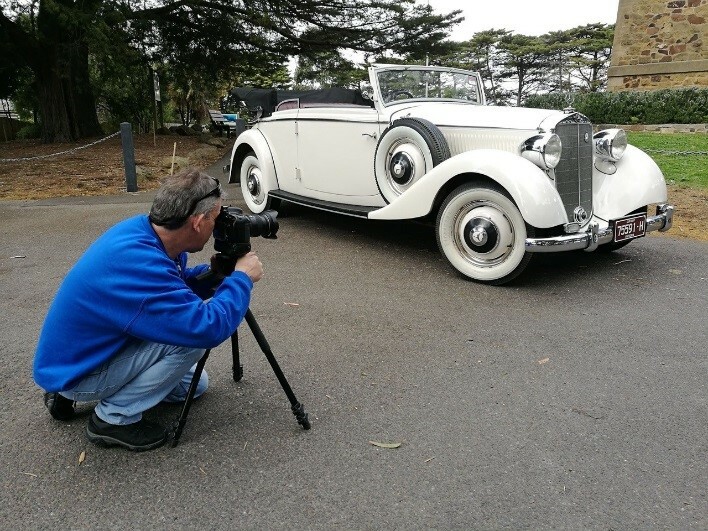 Elements of Focus, due to exhibit in late 2019, explores Andrew’s love of motor cars through the camera lens, with the support of friend and photography mentor Dishan Marikar. These photographs will be presented in a way never before seen, with Andrew explaining his methods to getting the perfect shot. “My tunnel vision means that I can’t see the object as a whole, when I’m photographing a car, I take shots of each individual element of the car, and then piece the final image together like a jigsaw puzzle” says Andrew. Andrew’s time as a photographer has taken his work around the world, though his ultimate goal is a little closer to home. Exhibiting at the National Gallery of Victoria (NGV) in his home city of Melbourne is another goal on his horizon. Challenging the limitations of visual disability with digital photography, Andrew hopes his work will inspire others with disability to pursue their passion. On his successes, Andrew acknowledges how far he has come in just a few years. To read more about Andrew’s work, visit his website.